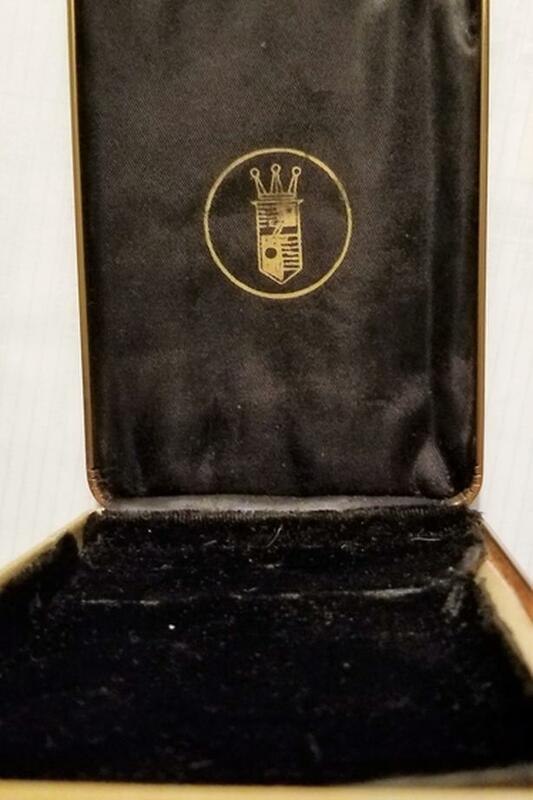 This vintage, black and gold, velvet-lined, hardcase box has an emblem of a 3-point Crown with a letter 'Z' shield. I have not been able to identify the manufacturer. Though it looks similar to Cadillac, I cannot confirm that. Please see images for size.